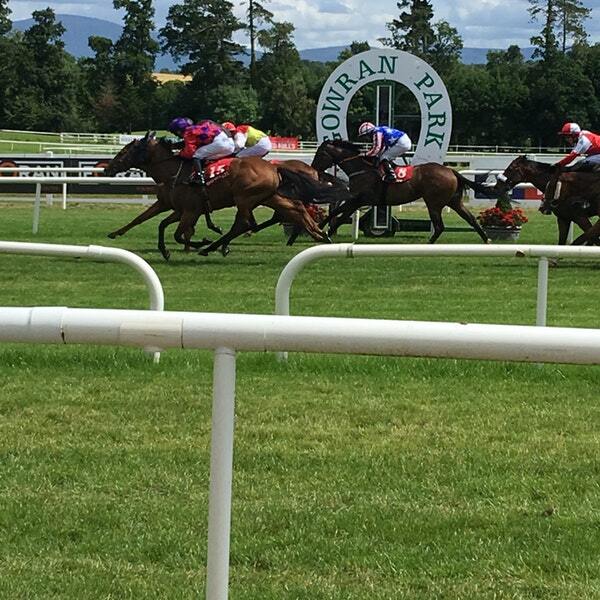 The 2K to 10K betting challenge continues on Saturday from Ireland at Gowran Park . The betting bankroll has dropped to £2381 (+£381) after Making Light finished unplaced in Boomerang Stakes at Leopardstown on Saturday,looking unsuited by very quick ground.The stakes drop down to £96.00 . Moving on to Saturday going concentrate on the feature race from Gowran Park .11 runners declared for group three Denny Cordell 9.5F Fillies Stakes on ground described as heavy . BEAUTIFUL MORNING : 5-Y-0 Bay mare,winning 3 out 14.Useful mare on her day, especially with plenty give in the ground,including winning the group three Royal Whip Stakes at Curragh in August.Slightly disappointing last time,when finishing sixth of 9 in G2 Blandford Stakes on Irish Champions weekend .Will be suited returning to group three company on testing ground . HENCE : 3-Y-0 Chestnut filly ,winning 1 out 17 .Consistent sort, though only victory came in 1 mile handicap at Curragh in May ,off mark 95 .No show in 7f Sceptre Stakes at Doncaster last week ,though did finish creditable third in 9f Snow Fairy stakes earlier this month.Place claims ,though not easy to win with . SHIP OF DREAMS : 3-Y-0 Bay filly,winning 1 out 12.Only victory coming in 7f maiden at Dundalk in January.Been consistent on turf this season without winning,including a career best effort last time,finishing close second in 9f listed race at Listowel.Each-way claims,though will need further improvement to land group three contest . VERDICT : Not the strongest looking group three contest.BEAUTIFUL MORNING should go well ,the only group three winner in the race.Also all her three victories have come with plenty give in the ground .Has to defy 3lb penalty,though looks the class act in the race .Odds around 6-1 look solid each-way value .